Tigers Lair has been building LEADERS & CHAMPIONS since 2009! Are you looking for an activity that breeds confidence, physical fitness, and respect all in a safe environment? At Tigers Lair, we will challenge you/your child mentally, physically, emotionally and socially to become LEADERS in life and not followers. Pedro is a Goju-Ryu Karate 6th Degree Black Belt (Rokudan), Daito Ryu Japanese Jiu Jitsu 3rd Degree Black Belt (Sandan) and Judo 2nd Degree Black Belt (Nidan) Black Belt under Ruben Font. 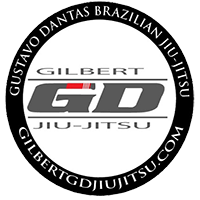 He began training in Goju-Ryu Karate, Judo, and Japanese Jiu-Jitsu in 1974 under the tutelage of Ruben Font and Brazilian Jiu-Jitsu in 2004 under Gustavo Dantas. Pedro served in the US Navy Special Forces from 1982-1999 as a Chief Navy Diver. Pedro served in Mobile Diving and salvage unit 2 Expeditionary Combat Salvage and Explosive Ordnance Disposal Mobile Unit 12. 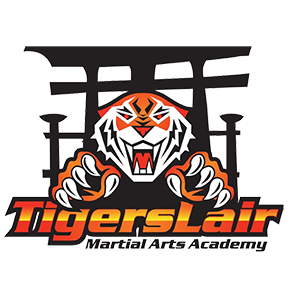 Pedro Diaz is the Owner and Head Instructor of Tigers Lair Martial Arts located in Gilbert, Arizona since the year 2009. Pedro Diaz is married 32 years to Noemi Christina Diaz and has 2 sons, Pedro, who is a Purple Belt in Brazilian Jiu-Jitsu, and Christian, who is a Black Belt in Brazilian Jiu-Jitsu. Pedro believes that one should seek perfection of character and that we are all connected to the individuals and families in our lives. It is all of our responsibilities to instill in our children the virtues of a good character and the positive impact it will have on their lives and that of their friends and families. Pedro Diaz holds many different awards. Through the 70’s, 80’s and 90’s he was the winner of numerous Karate, Kickboxing, and Boxing Championships. In 2009, 2010, 2011, 2013 and 2014 he was a PAN American Jiu-Jitsu Gold Medalist and in 2008, 2009, 2010 and 2016 he was a US National Jiu-Jitsu Gold Medalist. In October of 2013, Pedro won the Gold Medal at the World Jiu-Jitsu championships. Christian began training in Brazilian Jiu-Jitsu in 2004 and is a Brazilian Jiu-jitsu Black Belt. He currently serves in the US Air Force Reserve Security Forces, has a Bachelor’s Degree in Biology and is also preparing to enter Physicians Assistant school. Sean Martin is a Muay Thai/Boxing, Kickboxing & Grappling instructor with a combined combat sports record of 11-6, his experience spans through a few promotions with the most notable being IBA & IKF California, it includes Boxing (4-1), Muay Thai (1-1) and American Freestyle Kickboxing (6-4). 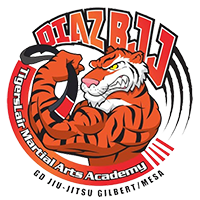 He holds a purple belt in Brazilian Jiu-Jitsu under Sensei Pedro Diaz (Tigers Lair BJJ), he has competed in the American Armed Forces Kickboxing Championships for the Army and has also competed in multiple grappling competitions from IBJJF to NAGA. He began his training in 1989 in Yorba Linda California; His experience spans over a few different arts starting as a traditional Karateka, Taekwondo, Western Boxing & American Freestyle Kickboxing, later as Muay Thai become popular in the mid 90’s in America he began training in Muay Thai/Boran style with a lineage under Ajarn Surachai Sirisute. He began teaching his combined Striking Arts experience in 2006 and focuses on empowering students to develop skills from the ground up. His program caters to everyone from competitive fighters to children, with a focus on clean technique, power, efficiency, and footwork. He has a welcoming and fun program with attention to safety, health, technique, and having fun.